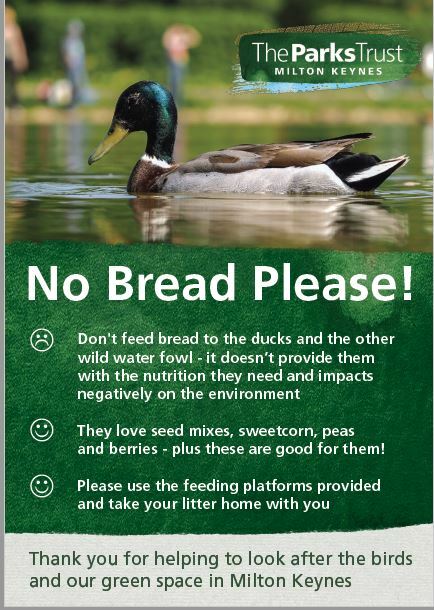 Have you spotted our updated duck and wild water fowl poster at our bird feeding platforms across Milton Keynes? 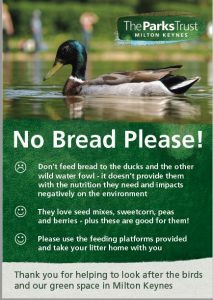 Please can we ask you to support us when visiting any of our parks with lakes or ponds by not feeding the ducks or wild water fowl any bread. You can feed them; sweetcorn, peas, berries and bird food instead. Thank you for your support. Mid Shires Orchard Group Events Mobile Library at Lucas Place.